In the era of participation trophies, it’s hard to understand why anyone would stop giving out an award at all, but there are some major award ceremonies that have removed entire categories in one fell swoop. Sometimes it’s because there’s no more reason to give it out (the “best Disco” category in the Grammys only lasted 2 years because duh) and sometimes the award is so tarnished by its recipient so that it becomes a PR disaster. Here are five major awards that are no longer up for grabs, even if you really really want to win one. Way back in 1931, little Jackie Cooper (who would later be the reason for child actor laws protecting their income from unscrupulous handlers) was nominated for a Best Actor award. He was nine years old. He lost to Lionel Barrymore, a much older and, honestly, better actor. 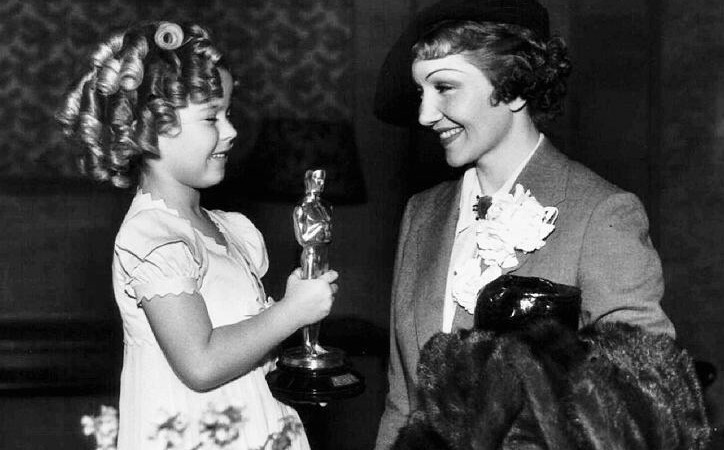 But someone decided that denying kid stars an award was a bad look, so the Academy created the Juvenile award, aka the “Oscarette,” a half size copy of the actual statuette. Meant specifically for actors under 18 years old, the Juvenile award was given out sporadically for around 25 years; the first one went to Shirley Temple in 1935 and the last one to Hayley Mills in 1961. Judy Garland, Margaret O’Brien, and Mickey Rooney were also recipients of this award. The award is no longer given out mainly because of two reasons: first, they implemented the “best supporting actor/actress” categories, and second, young actors were seen as genuinely competitive rather than token winners, so now when they’re nominated, they’re up for a full-sized statue.